Sometime in the future, you’ll be flicking through your memory bank and thinking about your wedding day. While the formalities of the ceremony will hold plenty of significant moments, it’s the wedding reception that will likely make you smile the most and have the fondest mementos. 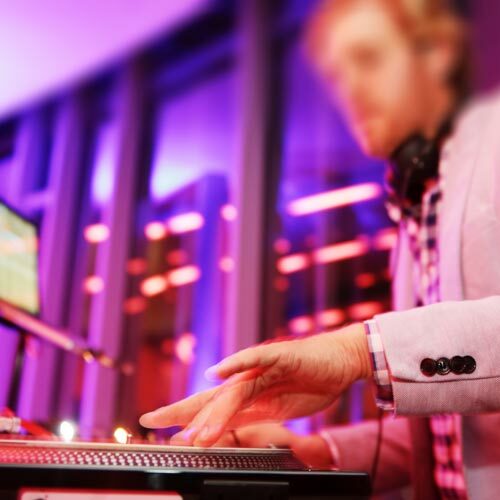 From that all important, romantic first dance; to that time when you looked around at a dance floor full of your closest, your wedding party is dependent on a great DJ. And, a selection of the best wedding reception songs! What Are The Best Wedding Reception Songs? We asked Michael, one of Perth's most highly recommended Wedding DJs to come up with a list of recommendations for your inspiration. Each Wedding Song has a small description of why he think’s the track is worthy of inclusion. Ok, so – not ALL song the songs here will be your taste. This article is designed to be a guide for when you are planning your wedding playlist. Some people like things more pop, others like their wedding music to be more rock – and others something in between. Either way, scroll down to check out our list of classic wedding reception songs – we are sure you’ll get some inspiration! 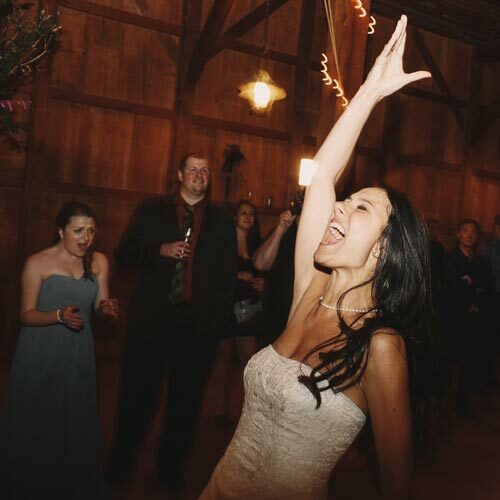 The Best Wedding Reception Songs Are The Ones That Are The Most Memorable! “Everyone seems to agree, you can’t blame it on the sunshine or the moonlight, let alone the good times!! One of my favourite ones to play for wedding crowds of all ages, as the whole family will dance together and throw their hands in the air”. “A great wedding reception song for the guys in the crowd. Even at the most laid back weddings, this will get the b-boys out breakdancing in the middle of the dance floor to the cheers of everyone watching. “You might not be Scottish, but you don’t need to be in order to sing this one with pride! “This absolute classic wedding reception song still goes down a treat with crowds young and old. “Some people hate it, some people love it. Either way, there will be a full dance floor trying to remember the dance moves every time this gets played at a wedding”. “Probably my all time favourite song to drop at a wedding. If you choose the right moment of the night, and with the right crowd, you can get the entire room up with this retro classic, singing the words with total abandon. “When the night is getting late and the parents are starting to grab their coffee’s, it’s time to start busting out the bangers! This song is almost guaranteed to get any younger crowd shaking their stuff and have all the girls singing at the top of their lungs”. 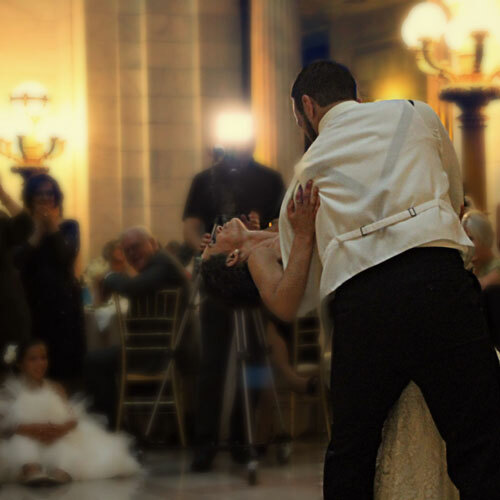 “One of the best wedding reception songs to play at the end of the night. I have lost count of how many couples have attempted to recreate the moves from Dirty Dancing when this comes on! “What is there to be said? ‘Hey Ya’ will probably be getting dropped by a Perth Wedding DJ on dance floors for the next hundred years, and rightfully so! An absolute banger from start to finish. And, one that will always get the girls shaking it like a polaroid picture! “Want to get the whole crowd at a wedding up and dancing to some modern tunes? Start it off with this classic track! “One of the funkiest songs to come out in a lifetime, this track will get almost the entire room grooving to the beat. 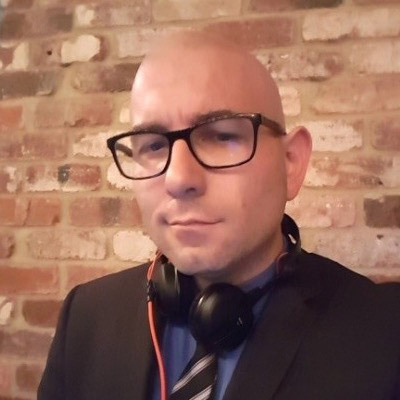 The primary task of a Wedding DJ is to play Wedding Reception Songs that fit the style and personality of those attending a wedding celebration. While that description is simple, the reality of achieving such a feat is considerably more difficult. Primarily, this is because musical taste is a very personal thing. Lets face it, what I think is a ‘good’ Wedding Reception or Wedding Ceremony song, you may see it as in poor taste! Additionally, as there is such a huge variety of great music, it’s really hard to select a playlist with 80 songs. What? A Playlist Of Only 80 Wedding Songs? While you may have a clear idea of the Wedding Music YOU love, will your guests? While it is your big day and you’ll want things to go how you envisage, surely you’d have to agree that when it comes to a wedding dancing the more people on the floor, the merrier!